Las Vegas, NV – On Saturday afternoon I got a chance to see El Camino Real(CA), a Los Angeles City Section power, play against Lone Peak High School(UT), the defending MAXPREPS National Champions. From the tip to the last horn, it was all about TJ Haws(2014) and Frank Jackson(2016). In the first half, El Camino Real scored 18 points and Haws and Jackson had 16 points. The final score was Lone Peak 63 and ECR 45. TJ and Frank combined for 39 points. Haws, a BYU signee, is a 6’4″ guard. Just from initial looks, he looks like “Opie” from The Andy Griffith Show. TJ is a perfect example of the old saying, “Don’t judge a book by its’ cover!” He is slight of built, but he is a feisty competitor. TJ has a nice stroke, quick shot, and nice elevation on his shot. He moves well without the ball and excels at all 3 levels of scoring. TJ ended up scoring 24 points. 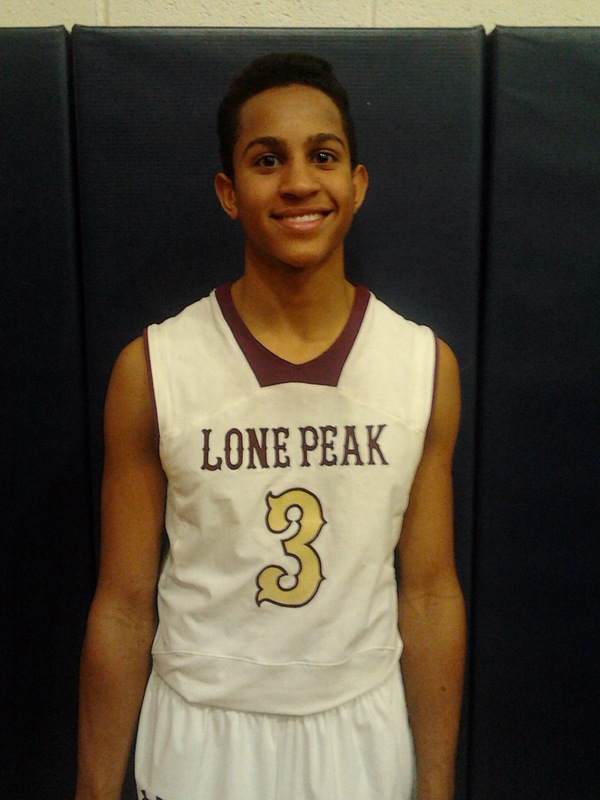 Frank Jackson(2016), a recent BYU commit, is a 6’1″ point guard. Jackson has a game that resembles NBA veteran Andre Miller and class of 2015 top 25 player Isaiah Briscoe out of New Jersey. His head is always on a swivel which allows him to see plays 1 to 2 steps ahead of everyone else. Jackson handles the rock with both hands as if it is glued to his hands. He does things on the court very instinctively. On one play, Jackson took an outlet in traffic, pushed the ball up court, and before the defender could tip the ball from behind, he switched the ball from his right to his left hand and hit the spotted wing for the 3 ball. As far as offense, Jackson’s pull up jumper is as sweet as Texas pecan pie. He is a team player to the highest level. Jackson during most of the game was praising his teammates for good plays and supporting them on bad plays. He scored 15 points. MMHR: How is your season coming along so far? FJ: We are 7-2 right now, which is good. Our 2 losses, have been close losses. MMHR: Is it living up to expectations? FJ: Yes it is. That is why I came to Lone Peak to experience the winning atmosphere. MMHR: Up to this point in your season, what team has been Lone Peak’s toughest matchup? MMHR: Any big time camps or showcases you plan on attending after your high school season? FJ: Any that I am invited to. MMHR: What are your strong points in your game right now? FJ: I would say my pull up J.
MMHR: What weaknesses do you have that you are working on to become a strength? FJ: I am working on having a tighter handle and being a better on ball defender. MMHR: What AAU are you associated with? Special thanks to the Jackson family for allowing us to interview their son. Good luck to the rest of your season.